ARE YOU LOVING YOUR SUPER MIXES? Did they help improve your health (like they do for 81% of our customers!)? You can’t imagine your life without them anymore? And do you keep telling your friends all about our awesome superfood mixes? Don’t worry, you are not the only one. 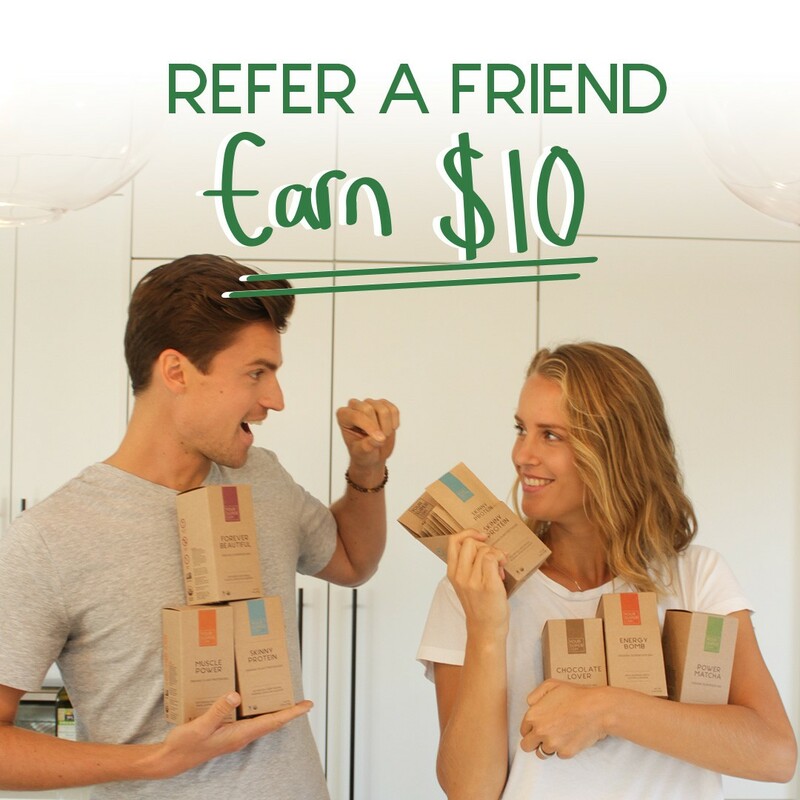 It is however time to sign up to the Your Super referral program… you will EARN $10 for each order that comes in through you! You will get your own unique link and discount code that you can share on social media, email, blog or simply in person with people you know. Plus you can keep track of everything in an easy-to-use backend. Simply sign up by clicking the button below, fill in the form and get started right away. Shoot a message to referral@yoursuper.com incase you have any questions. We are super excited to have you join! My link redirects to the US shop, but I am based in Europe ( or other way around), where can I get a link for Europe? When you selected the right one, please copy the link that will appear below. You’re good to go! Can I use my own code or referral link for my own orders? No, please use the code SPECIAL15, it will give you 15% off as well. What is the difference if people use my link or my discount code? You will get a reward in both cases - no worries about that. Your link does not contain any discount but it is important to share it. When clicking on it, a cookie will stay in people’s browser 30 days and track if they order in this timeframe. People sometimes forget to enter discount codes at checkout and we might have sales running here and then. By sharing your link, you are sure to be rewarded. Please send an email to Vérane - verane@yoursuper.com with your friends name and order number. She will have a look at it shortly and makes sure you are rewarded! Is my code is only valid for 30 days? No, your code will be active until you decide to stop working with us. Your link will always be active as well. However, your link contains a cookie that stays in a browser for 30 days only. If someone clicked on your link but orders after 30 days, you will unfortunately not be rewarded. We send all rewards in cash via Paypal transfer. We will send your rewards from previous month latest on the 5th of the following month. If you did not receive them, let us know! How much discount does my personal discount code offer? Your discount code offers 15% off every order - whatever the value of the order was. WANT TO KEEP IMPROVING YOUR HEALTH?